The undead have had a tumultuous rise in the film world. With the vampire spike of the 00s and the subsequent popularisation of zombies after The Walking Dead truly took off, monster trends have fluctuated with surprising ferocity over the past decade. With the filmic world falling out of love with classic creatures and coming up with horrors all their own, it does make one wonder - what exactly happened to zombies? Film, as an art form then, is cyclical. More often than not, the same themes, visuals, and values are reiterated in various forms across the years, adapted to suit a modern audience but still essentially copy-pasted into our lives from years gone by. We’re currently in the middle of an 80s circle-jerk, with nostalgia the key player in our cinematic experiences thanks to pieces such as Stranger Things and Ready Player One taking precedence, and a rise in reboots, spin offs, and sequels to films that found their home with an 80s audience. The 80s was also the time of the slasher movie and what could be considered an advent in horror, much like the rise in popularity and originality 2017 saw in its horror movies. But it was off the back of the zombie movie that has crashed, burned, and birthed a phoenix from the ashes - experimenting with gore, infection, tension, and monstrosity in varying degrees for the past decade to distill the quality of horror that we have now. So where did it all begin, and how did we get here? The easiest place to start would be - of course - the beginning. 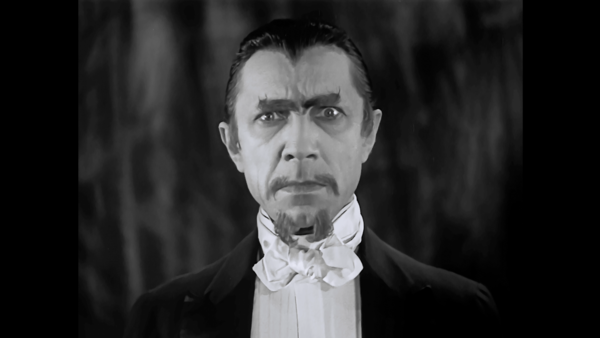 Taking a time trip back to the 1930s, the very first iteration of what we would consider a zombie movie was born - White Zombie. 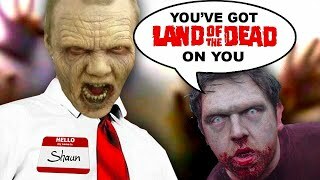 The original zombie was always a living person, controlled through potions, concoctions, and powders of Haitian voodoo that lulled them into a ‘zombified’ state. Bodily possession by evil witch doctors was the name of the game, and it remained that way for roughly thirty years. Films such as I Walked With A Zombie and King of the Zombies ruled the horror genre with their depictions of exotic terrors, and people who could control your mind and body with the simple consumption of some dodgy drink. Zombies remained that way until 1968, which is when the heavens opened and George A. Romero was sent down in a holy ray of light, bestowing Night of the Living Dead upon the world. His film was patient 0 in the advent of the apocalypse, and the first exploitation of the undead that we’ve come to know and love. Romero’s zombies were shuffling, reanimated corpses, that craved human flesh and could only be killed with the destruction of their brain. Romero set the ground rules of the genre and created the single most important zombie movie of all time - and he didn’t even realise it. The zombies were referred to as ‘ghouls’ throughout. Italian horror simmered in the European circuit with a disgusting fervour, and latched onto the bloody ideal of the Romero zombie with a grim determination in light of their favoured ‘cannibal’ movies. Whilst Romero continued with Dawn of the Dead, a much higher-budget entry into the series that solidified his status as Daddy Zombie, European horror celebrated with plenty of spin-offs, reworkings, and stylised sequels that doubled down on the gore. These trends continued throughout the 80s, with just how far the blood and guts could be pushed culminating in Peter Jackson - yes, the very same The Lord of the Rings director - releasing Braindead onto the world in a fountain of body horror spectacle. And whilst the 90s continued to offer zombie movies in varying capacity in the background, Braindead marked the last film in a ten-year gap where zombies just weren’t as heavily invested in as psychological horrors. 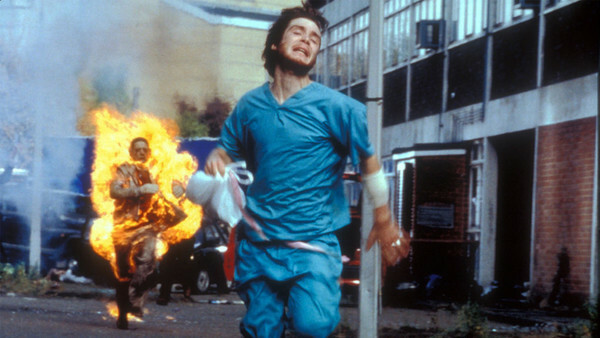 The preference for very alive, very human monsters took hold until 2002, when 28 Days Later reinvigorated and reimagined the genre trope in a culmination of all the films so far. Whilst Danny Boyle’s zombies are in fact alive and infected with a virus, the technicality harks back to the days of voodoo bodily possession - where infection is the catalyst, but not necessarily the killer. 28 Days Later brought us running zombies, humans turning on humans, and post-apocalyptic wastelands inhabited by hundreds of the ‘undead’. In the very same year, Resident Evil hit cinemas, bringing to life the arcade style zombie-bashing that has become a staple of many modern genre flicks. In tandem with the comedy-horror Shaun of the Dead in 2004, these films captured the imagination of millions. The zombie movie was certifably resurrected, and ready to wreak havoc on the film industry for a good many years once again. The films that followed utilised the groundwork of the previous movies and toyed with the formula in plenty of imaginative ways, birthing concepts such as found footage terror in Rec and Diary of the Dead, government resistance in World War Z, and survival tactics in Zombieland. 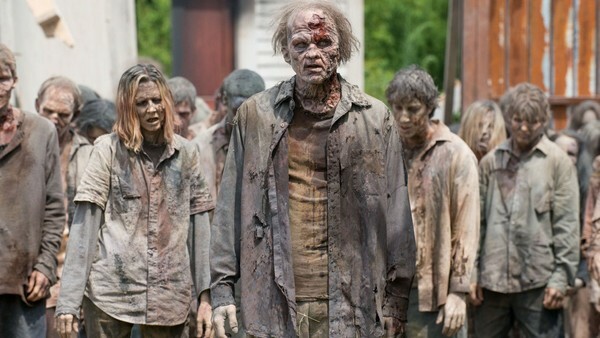 The concept of the zombie and a disease-ridden future was the ‘in’ thing, soon bleeding the idea dry; with a zombie movie being released every single day at the height of the craze. Cinema audiences became zombies themselves, turning up in droves to lifelessly stare at a screen for hours before shuffling onto the next similar thing. It’s unsurprising that the saturation of the genre was its own downfall. Whilst zombies do retain a home in the horror genre and a warm place in many people’s hearts, there simply isn’t the option to do anything new with it - and instead, horror has morphed once more. We now want tense movies that show less instead of more, not so enamoured with violence and gore as we were in previous years. The experimentation and playfulness of the zombie genre over the years has allowed for monster-makers, tension-crafters, and all out action-film slashers to cut their teeth in a playground where anything goes - and we’re now at a point where horror is getting the attention and funding it deserves. It’s thanks to the trends of the past that we can create new ones for the future, in which films like Get Out represent our modern zombie, and they can be happily referenced in huge hits such as It. The undead have been buried for now. But if the past is anything to go by, I’m sure they’ll be dug up and reinvented once more. The vampire had its heyday, the serial killer has always lurked in the shadows, and the zombie has pushed us into a new age of horror. Guess it’s time for the mermen to start their revolt next.